“Last month marked the 50th anniversary since the iconic “Earthrise” image catalyzed the dawn of the modern-day environmental movement. Shot by the crew of the Apollo 8 mission, it was the first image ever captured of Earth in its full glory, depicting the interconnectedness and fragility of this little blue-green dot we call home. If you haven’t been tracking Planet – formerly known as Planet Labs – you should. 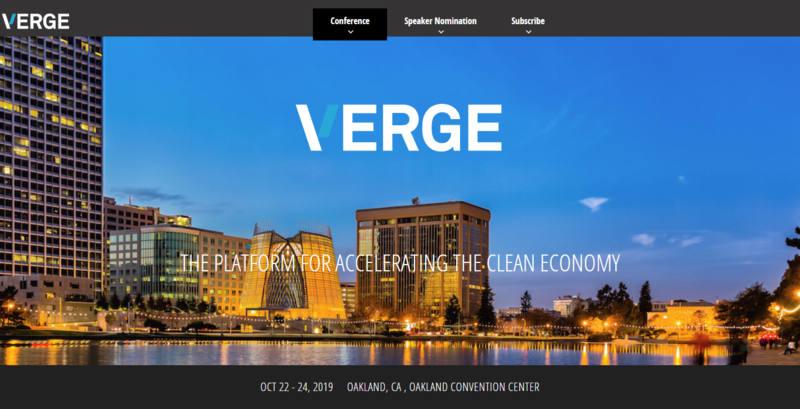 Founded by a San Francisco-based team of former NASA scientists-turned-entrepreneurs, they are disrupting how we see, understand and make more informed decisions based on what’s happening across planet Earth. Here’s what Planet is up to, and why it’s such a big deal for every human, community, region and company that wants be well-equipped for navigating the days of change ahead. The heart of Planet’s mission is to use space to help life on Earth, and to do so by democratizing access to satellite information.The problem, as co-founder and CEO Will Marshall introduces in his TED talk from 2014, is that satellites are big, expensive and slow, and by no means scalable. That’s why Planet invented a better technology — a cheaper, faster, more powerful one — and in the true Silicon Valley startup fashion, it all started in a garage. Called “Doves,” they developed mini satellites the size of a breadbox, coming in at a whopping weight of four kilograms each — a tad under 9 pounds. Packed with the latest and greatest sensor systems and electronics, they are capable of taking pictures at 10 times the resolution of your average satellite, despite being one one thousandth the mass. Last November, Planet completed its first major mission: to image the entire Earth’s landmass every day in order to make global change visible, accessible and actionable. As of last September, the company had launched a veritable flock of 298 Doves, representing the largest constellation of Earth observing satellites in human history and landmark progress towards decreasing the cost and increasing the coverage of Earth imaging. What we can do with real-time imagery of our entire planet’s surface is where things get really interesting. And it’s where the machine learning part comes in.Take, for example, the issue of deforestation in Bolivia. In a presentation at COP23 last year, Planet’s Forest Program Director, Tara O’Shea, zooms in on a specific site and proceeds to visualize the rate at which change is happening on the ground. Not only do the photos feature the highest-resolution satellite imagery ever of tropical regions, and the destruction taking place over a matter of mere months, but they also demonstrate the value in being able to observe what they call “precursors of change.” In this case, it’s the daily expansion of roads being carved through the lush, green forest — a harbinger of deforestation. “What if we not only saw that change, but also knew what it meant, automatically, and with high accuracy?” O’Shea asked, in this particular case regarding carbon emissions associated with deforestation. Imagine what we could do with a spatially explicit indicator of forest carbon stocks and emissions, updated daily across the globe? These are the kinds of indicators Planet is work collaboratively to scope, develop and ensure are used to inform policy and financial instruments. And they’re working in a broad spectrum of markets outside of forests and land use to do it, customizing imagery for different applications across energy and infrastructure, civil government, agriculture, finance and business intelligence and many more. When it comes to preventing degradation, promoting regeneration and enabling adaptation in the face of natural disaster and disruption, Planet is one step ahead. It has partnered with Google and Mapbiomas to develop the next generation of land-use monitoring and mapping tools in Brazil — detecting and classifying land-use change at an unprecedentedly high frequency. Their imagery also helped fight the recent fires in California, enabling the state to plan for efficient and effective response and evacuation operations, account for property damage, and apply for federal assistance. In a groundbreaking R&D project with the World Bank, it is also pioneering new tools to detect urban change in emerging countries, starting in Tanzania. Planet is even part of the daring new plan to map every coral reef from space.